The Sunday Post can reveal talks were held between Transport Scotland and Caledonian Maritime Assets Ltd (CMAL) on the time and cost implications of such a move as part of “risk mitigation”. 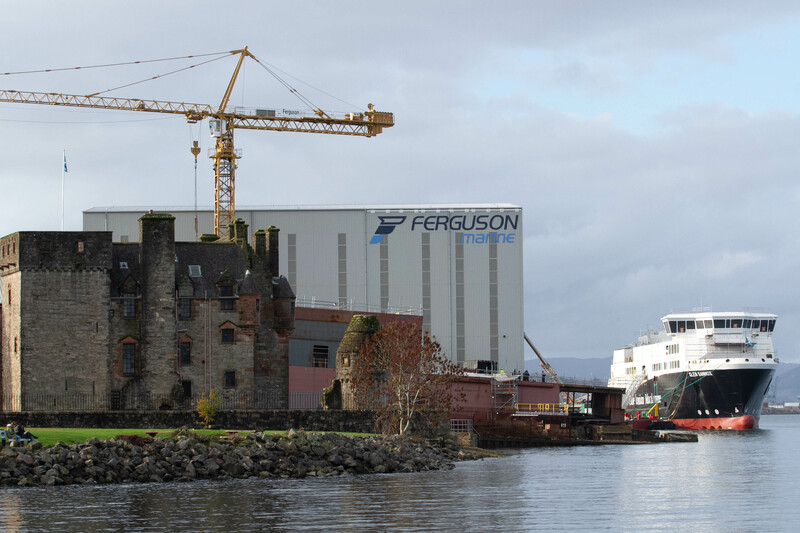 The Ferguson Marine shipyard in Port Glasgow, the last commercial shipyard on the Clyde, won the £97 million contract to build the ferries in 2015. The ferries will be the first in the world to run on a dual-fuel system using both diesel and liquefied natural gas. But a dispute has broken out, with the yard’s owner billionaire Jim McColl threatening to take CMAL to court to pay for additional work which he said was caused by design changes made to the ferries. 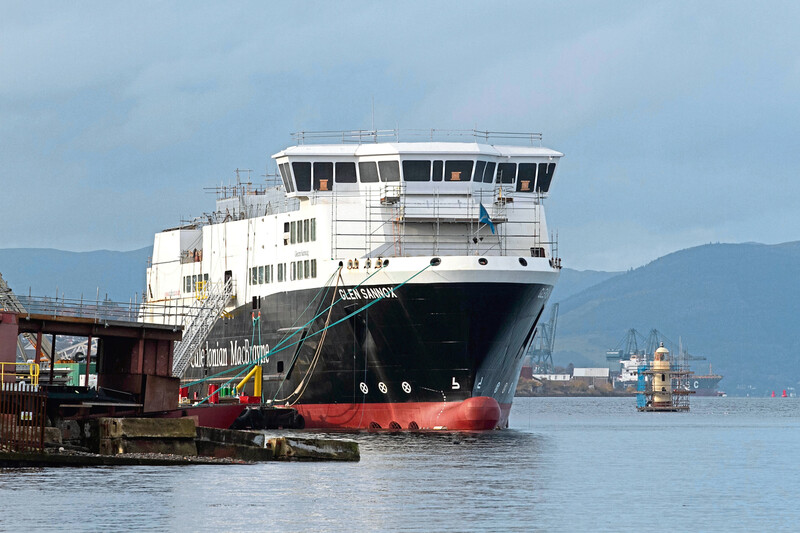 CMAL, which is owned by the Scottish Government and is responsible for buying and leasing ferries for operators Calmac, has insisted the work is covered by the original contract. Gary Cook, of union GMB Scotland, said: “It would be absolute lunacy to move the ships at this stage. “The programme is going well in terms of the catch-up process for the design process, so the expertise is in Fergusons. McColl, who is an adviser to Nicola Sturgeon, helped rescue the Ferguson Marine shipyard. The contract to build the new ferries awarded by the Scottish Government gave the company vital work. 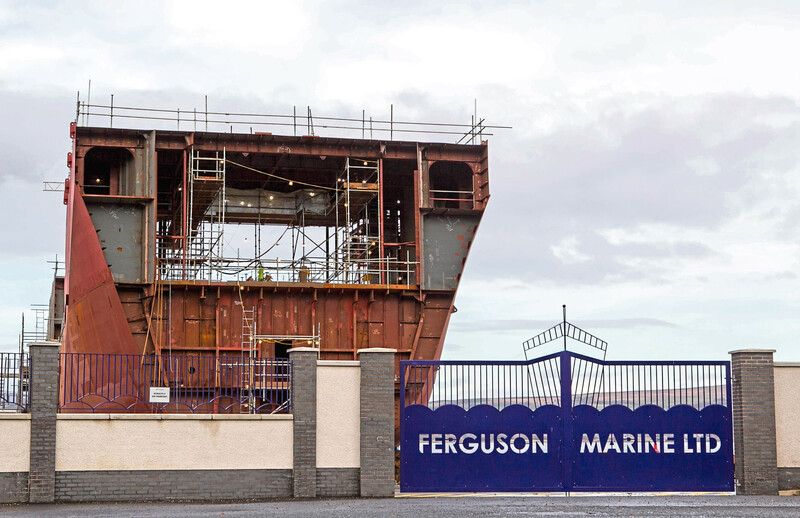 A political row was triggered when it emerged Ferguson Marine had been given a £45 million loan facility by the Scottish Government, leading to accusations of “crony capitalism”. Any move for the work to be completed at another shipyard would be seized on by the SNP’s opponents, who have also criticised delays to the delivery of the two ships. In September, McColl threatened legal action against CMAL, saying he required the loan only because CMAL had refused to pay for the additional work caused by design changes to the ferries. He said: “If CMAL continue to fail to engage with us we will take them to court. “We are very confident we have carried out additional work which CMAL, ie the Scottish government, has to pay for. Jamie Greene, Scottish Conservative transport spokesman, said: “The nationalists can’t point the finger at anyone else for this. Transport Scotland refused to disclose when discussions took place. The MV Glen Sannox is a 102-metre long ferry which will be capable of operating on liquefied natural gas – a cleaner fuel – and marine gas oil. It is earmarked for the Ardrossan to Brodick route. It was originally expected to enter service this year, but it was announced this would be delayed to summer 2019. The second ferry is officially still called Hull 802, although there have been reports it will be named MV Claymore. It is scheduled to run on the Skye to Harris route from spring 2020. The new ferries are expected to carry up to 127 cars and 1,000 passengers.